Hello, from a not-so-sunny South Arica! My first blog post for 2017 and it’s a review so let’s get right to it! 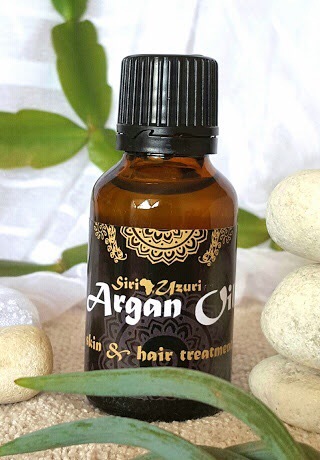 I was sent a couple of bottles of this Siri Uzuri Argan Oil a few months back by a fellow blogger, check out her blog here. 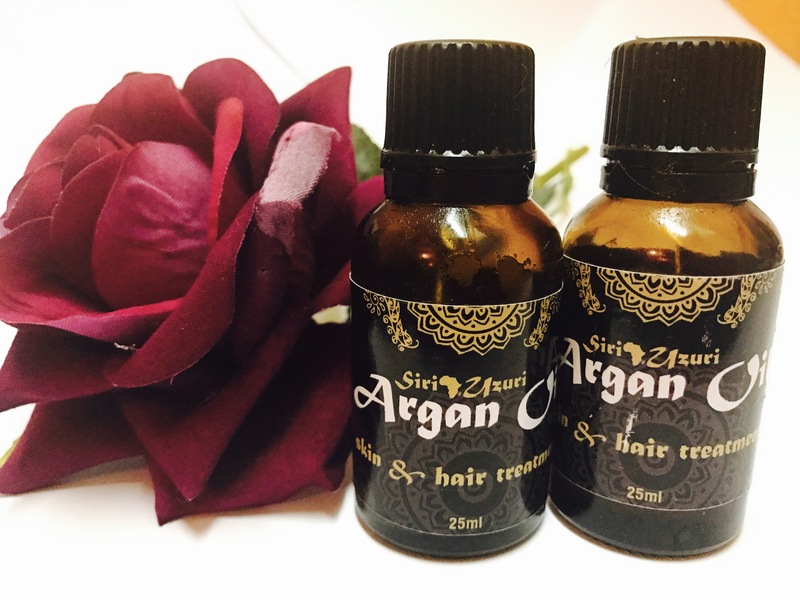 I decided to put the product through a thorough test as hair and skin products often need adequate time to gauge true results. I started using the product on my hair first since my hair is quite dry and damaged due to regular use of heating tools. My first application didn’t turn out well though, my hair was greasy and heavy and I realized I might have applied a tad too much – no surprise there – moderation was never a friend of mine. 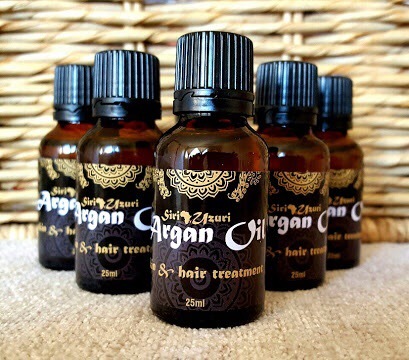 I started using the oil more sparingly and the results were much better. It sealed my ends nicely after straightening and gave my hair a lovely shine. I have to say, I’m not very fond of the natural smell though, I prefer products that leave a nice scent on my hair since hair irons also add an awful smell to hair. The best result I got from the oil is when I decided to apply the oil to my husband’s problematic skin. He suffers with eczema and very dry, itchy skin so I applied the oil to the affected areas and I was amazed at the result. In fact, I think the oil worked better for his skin than my hair. It left his skin moisturized and soft without causing further irritation. Needless to say, both bottles ended up in his cupboard. Thank you to Meea Parkins at MamaMeea for giving me the opportunity to review this great product! Thanks for stopping by & stay sassy now!